Step Back in time to where you can sit on your front, 8 foot wide, covered porch and wave at the people passing by every once and a while. 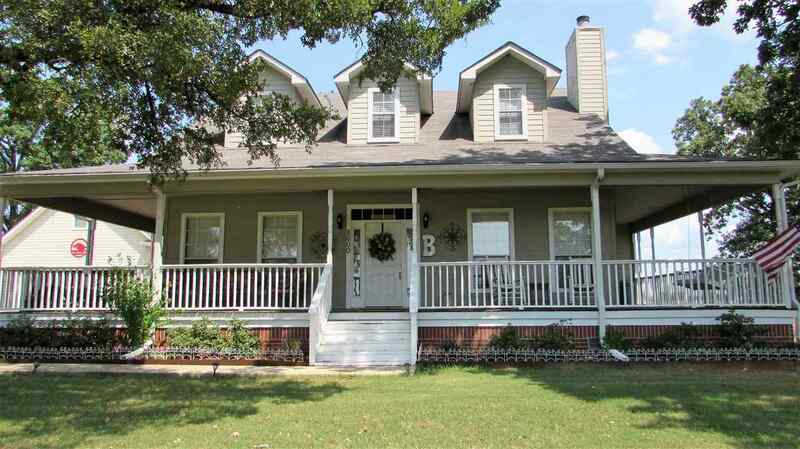 The home is nestled on Three acres and the porch goes 3/4 around the house. Beautiful landscaping and a place to hang plants all around. The home has a natural creek around it. Master bedroom has a claw foot tub. Begin Enjoying the 9 foot ceilings and the country feel. This home has Breakfast Bar, Dining room and Breakfast area. Master Bedroom has an alcove that is used as home office but would make a nice reading nook. Upstairs has two bedrooms and a sitting area and large bathroom. Great Views from every window. Enjoy seeing the stars at night and not hearing all the city sounds. Right on the edge of city limits. Built in 2008.